At ComForCare/At Your Side Home Care, we help seniors live independently in their own home and continue to do all the things they love. Our compassionate caregivers can assist with personal care, companionship, meal preparation, medication reminders, light housekeeping, transportation and errands. 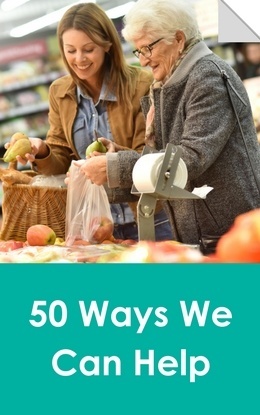 For more ideas on how in-home care supports independent living, download our 50 Ways We Can Help checklist. We also offer special programs for people with Alzheimer’s disease and other forms of dementia. Individuals with disabilities or those recovering from an illness or surgery can benefit from our services as well.